How do I track my local/cold/hardware wallet? Why is it showing zero balance? Please ensure that your wallet address is actually correct and actually has a non-zero balance (you can verify using a Bitcoin, Bitcoin Cash, Cardano, DASH, Dogecoin, EOS, Ethereum, Ethereum Classic, Litecoin, NEM, NEO, QTUM, Ripple, Stellar, TRON or Zcash block explorer). Wallets often generate a fresh receive address for every transaction to protect your privacy (more details), so instead of adding your latest receive address (which has zero balance), you will need to add your xPub address (described below). The easiest way to track all the transactions for a local wallet that you have is by adding the extended public (xPub) key for that wallet. These are available for Bitcoin based chains (e.g. BTC, BCH, LTC, DASH, DOGE, ZEC). You can add an xPub key here. You can find instructions to find your xPub key from common wallets below. 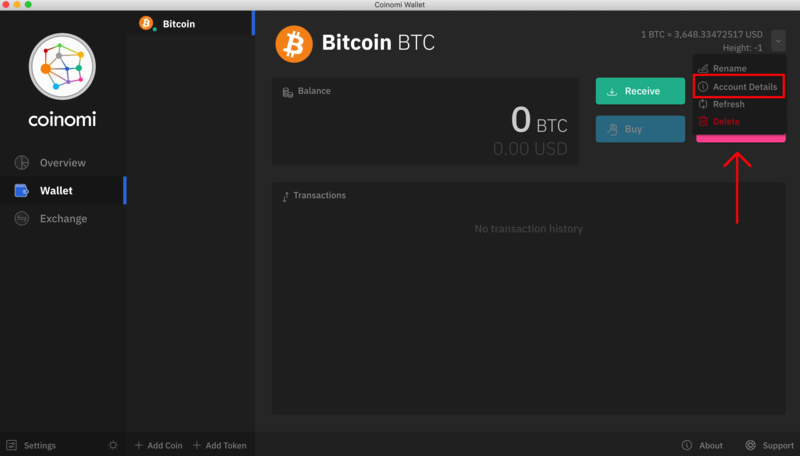 How to add your Ledger wallet to CoinTracker. How to add your Trezor wallet to CoinTracker. See here for more details on Exodus xPub. How to add your Jaxx Liberty wallet to CoinTracker. 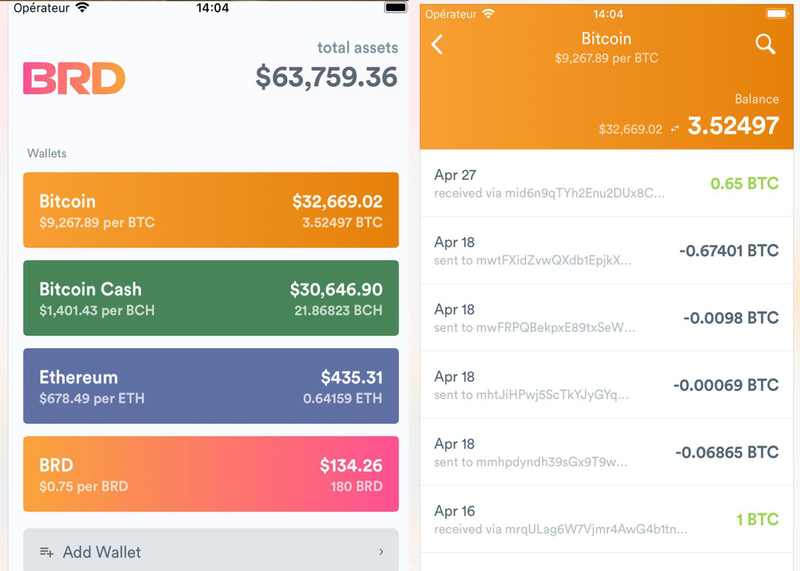 On mobile you can select a wallet and then go into the settings to get the same Account Details (on Android it is in the three dots on the top right corner of the screen). You can use the Mnemonic Phrase instructions below as a fall back option. As a fall back, you can go to View > Show Addresses and then navigate to the Addresses tab (at the top of the page) to see the full list of addresses historically used. Unfortunately BRD wallet does not display your xPub key, so you can use the Mnemonic Phrase instructions below. 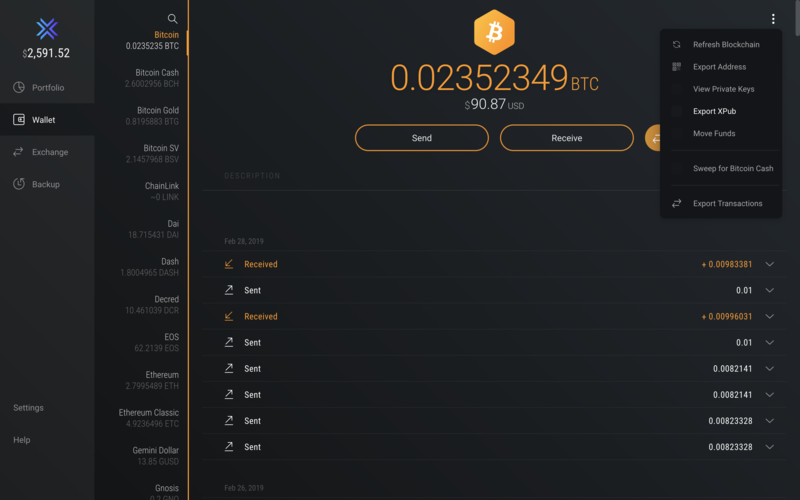 As a fall back option, you can instead click into your wallet(s) and then you should see all the individual addresses used which can be added individually following the instructions at the bottom of the page. For ETH, since there is only one address, you can look up the received address for ETH only (doesn't work for BTC, BCH, LTC). See here for more details on Blockchain.com xPub. If your wallet does not support xPub, you can add your wallet's public address. If you have other coins in cold wallets which we do not yet support, please let us know which ones so we can prioritize adding local wallet support for those blockchains. In the short term, you can mark any outgoing/incoming transaction from an exchange to a non-tracked cold/local wallet as a "transfer" using the down arrow next to the transaction from the Transactions page. Note: we do not yet support bc1 prefixed BTC addresses. If you need support for these, please let us know via Intercom chat.